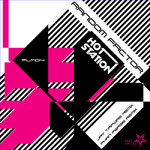 PARK LIMITED MUZIK Keeps burning up its 2011 release schedule with HOT STATION - which is a collaboration in between DJ 19 (aka AMBROZIA, VALID EVIDENCE, TRANCENTRAL STATION) and HIDE (aka Hot*Dog, HIDEOUT). They have been mainly releasing tracks for the Japanese domestic market though 19BOX SPECIAL label. Their last single together entitled “Moan”, included a Mr. JONES remix instead of the original mix. This “Random Factor” release is the same as the last one – but with fresh mixes. Canada’s prophet of trippy, west-coast tech-house JAY TRIPWIRE and Japanese new comer PHAN PERSIE have delivered two fantastic remixes. JAY TRIPWIRE is in no need of an introduction. His years on the house music scene have spoken for themselves. MUZIK magazine said “His signature fusion of Detroit textures and intricate rhythms with a classic house touch has pushed him ahead of everyone else" . His productions have been featured on numerous commercially released mix CD's - notably from Cocoon, Fabric, Renaissance, Journeys by DJ, Ultra & Bedrock from a plethora of leading DJs. Those DJs span a diverse spectrum of dance music culture - from house luminaries such as DOC MARTIN and MARK FARINA, techno legends such as MR C and LAURENT GARNIER and to progressive innovators as JOHN DIGWEED and DANNY HOWELLS. These names illustrate Jay’s long term mass appeal amongst dj's and fans alike. PHAN PERSIE is the duo of DJ KAI and TAWARA - who are living and building the club scene in Niigata. They are both DJs keen on showing their production skills. Kai has 15 years of hard work behind the decks as a DJ. Tawara has added his background as a VJ & graphic web designer to form arguably the complete audio-visual package. They are new to the international market but have a provided a fresh take on HOT STATION’s original mix. Their sound is focused on tribal elements, so they have gone ahead and added that flare to the original mix. The name is a play on words from Dutch football player ROBIN VAN PERSIE. 19BOX towers have added new download sites for you to buy our music from. Our tracks are now available through these download stores as well as Beatport : trackitdown, juno download, fnac, 7digital, musicload and many others. 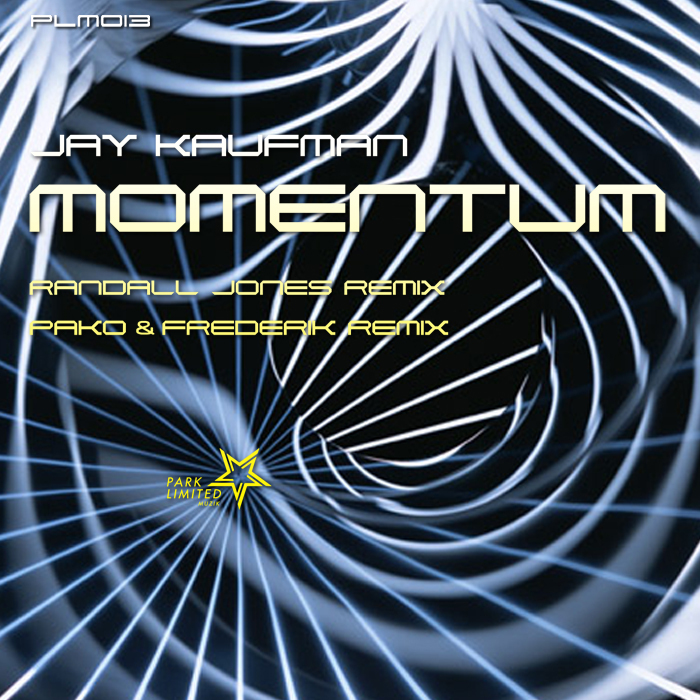 PARK LIMITED MUZIK presents Canadian DJ/producer Jay Kaufman and the single "Momentum". We have a HUGE remix package with remixes from Randall Jones and Pako & Frederik! 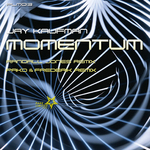 Jay Kaufman’s tracks have seen releases in movies (‘Rolling’), licenses to DJ mix compilations such as ‘Slinky Trans:Atlantik’, ‘San Francisco Love Parade’, etc. He has seen plays from the biggest DJ names out there. Nick Warren, Anthony Pappa, Danny Howells, John Digweed, Graham Gold and many others from the DJ glitterati have all at one point or another played a Jay Kaufman track. Signings and remixes to labels like SONAMBULIST RECORDINGS, BELLARINE RECORDINGS, L2, FULLBODYSOUNDSYSTEM, ENDEMIC DIGITAL, UNRIVALED MUSIC and of course PARK LIMITED MUZIK have helped attain a global status for Jay’s music production skills. On the remix duties, Randall Jones is known, worldwide, as being amongst the most talented and experienced DJs and producers in the field of dance music. In 1997 Randall turned his talents to production and with the help of mentors King Britt and Josh Wink, he got an internship in a top recording studio in Philadelphia. He began refining his sound and in 1998 formed Tigerhook Corps. As talented members joined the fold of the Corps, Randall work, both with Tigerhook and solo, began to be recognized worldwide. 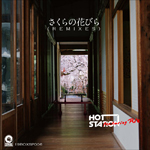 Originals and remixes were released by the best labels in the world, including house labels like SHABOOM and END RECORDINGS, as well as more progressive and tech styled labels like BEDROCK, RENAISSANCE, HOOJ CHOONS and SAW RECORDINGS. Randall is always busy in the studio, engineering a new single or remix. He released a full length artist album “The World:By Night”. Keep an eye out for his record label, MYNT MUSIC. Pako & Frederik met in Arnhem, where they lived back then in 1992. In 1993 Pako & Frederik brought their two styles together which resulted in their first collaboration “Vauvenages” (produced together with DJ Remy). From this moment on Pako and Frederik joined forces to produce numerous club-hits. World-wide recognition soon led to numerous requests for their remix work, with their remix credits appearing on NERVOUS, WGW, DMC UK, BEDROCK, ACETATE, QUAD-CODED and more. Their tracks featured on compilations mixed by: Sasha & Digweed (‘Northern Exposure’ + ‘Live in Sydney’), Carl Cox (‘F.A.C.T.’), Anthony Pappa (‘Renaissance’), Jerry Bonham (‘Spundae’) to name a few. The “Atlantic Breakers” album from GU made their name just that much bigger.